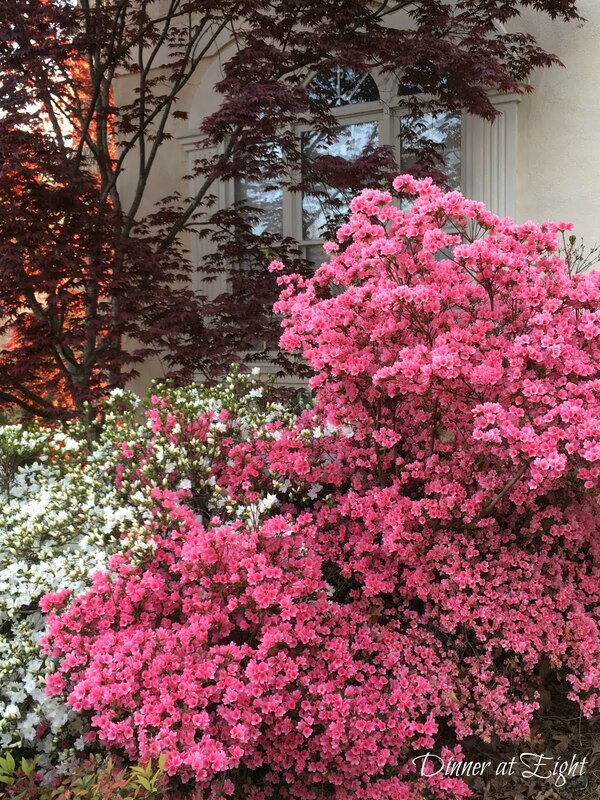 Guided by the lengthening daylight hours, the April garden is suddenly covered in blooms. 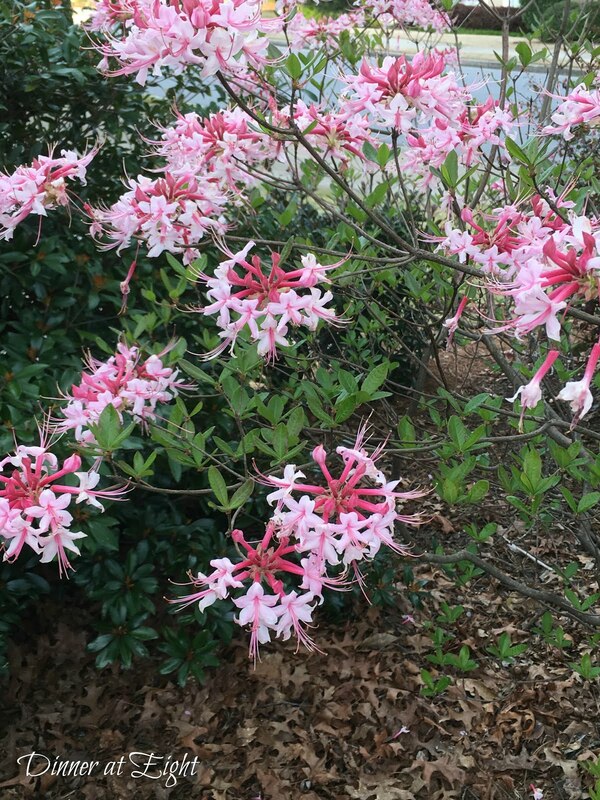 And in the South, that means the azaleas have opened a thousand buds. 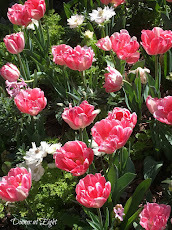 Varieties in pinks and whites are my favorites, and dominate my garden. Native azaleas are looser in structure, with open flowers. Petite Narcissus 'Thalia' are the final act for my daffodils. 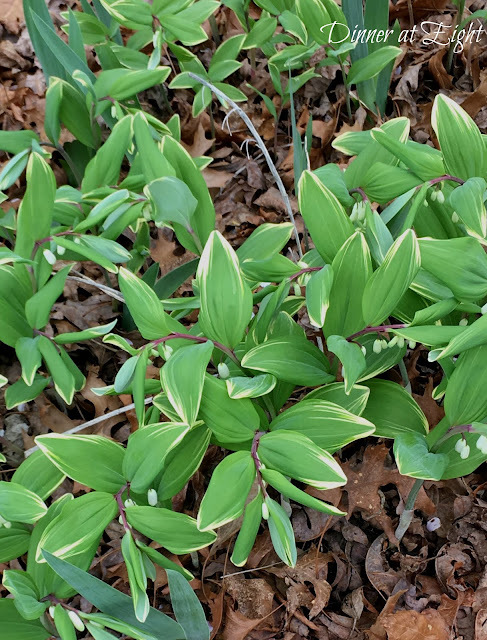 Solomon's seal is beginning to carpet the shaded areas beneath the trees in front. Crouching on my knees to get a good view of their delicate blossoms beneath gracefully arching stems. Japanese maples have opened deep wine-colored leaves, which will turn green in May. Tucked in a corner is a bench where I've spent many a pleasant hour. Not many this spring, though -- it's still covered in pollen. On Monday the dogwoods unfurled their showy, petal-like bracts which open flat, giving the appearance of a single, large, 4-petaled, white flower. Their true flowers are the small yellow-green things in the center, compacted into tight clusters. 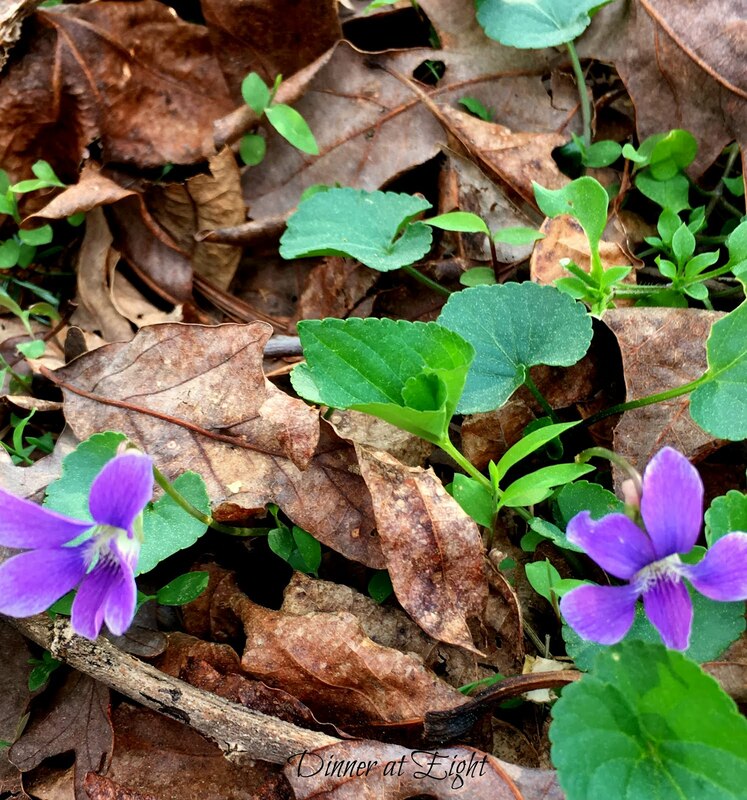 Part of gardening is serendipity -- like these tiny violets that appeared this year. Thank you for taking a walk with me through the front garden. Lovely! Spring is very late here in Pittsburgh but yesterday hit 80! However by Monday we could have snow again.... Poor forsythia isn't going to recover. Thanks, Debbee. I sure hope your forsythia recovers! I love to see their arching branches blazing with yellow. Beautiful pics from your April gardens. I love azalea blooms, ours are close but not quite there. Maybe next week. Thanks, Judy! 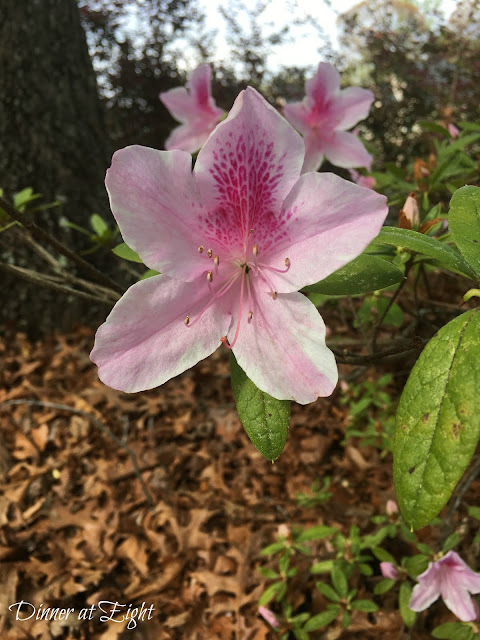 Ever since moving to the South, azaleas have joined daffodils in my definition of spring! Thank you for sharing your photos. One thing I miss here in FL is spring flowers. 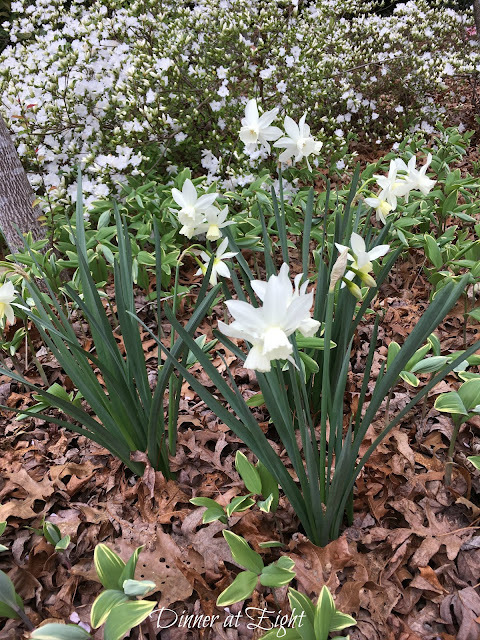 Love the Thalia narcissus and dogwood. Thanks for visiting, Myrna. I've only been to FL in the summer -- didn't know you don't get to enjoy spring flowers. Glad I could give you a taste of them. OH MY GOD!! !Is it heaven?? ?Wonderful flowers!Just breathtaking! Thanks so much! It's certainly my bit of heaven! I enjoyed the walk in your garden, Sandra. The dogwoods blooms are almost gone here, but the azaleas are still beautiful! So glad you could join me, Pam! I have to admit spring is my favorite time in the garden. Absolutely beautiful! 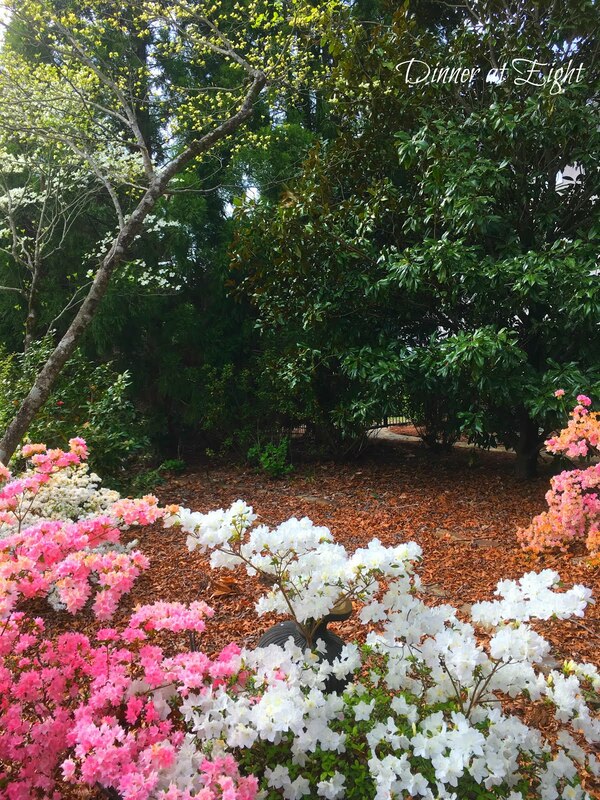 As my gardens are buried yet again with a fresh 18" of snow, I love visiting southern gardens for some lovely flower garden eye candy. My winter weary gardener's soul says thank you! You're so welcome, Joanna! I'm sure you'll return the favor when everything here droops from the heat of summer! You definitely have some wonderful color! It snowed here yesterday so I am going to live through blogger gardens for the next couple of days! Thanks for joining Dishing It & Digging It each week. 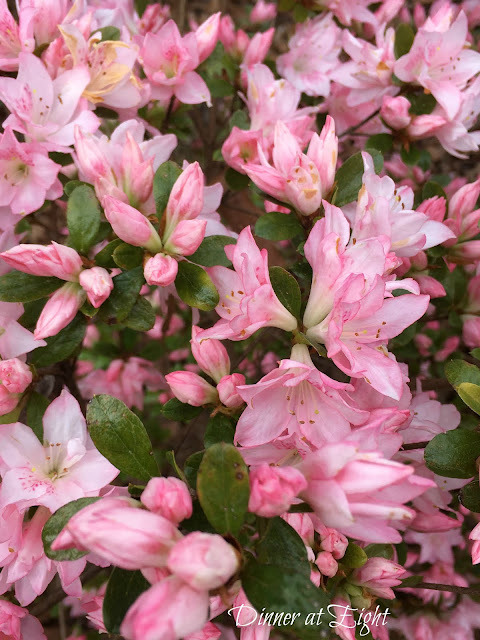 The azaleas are gorgeous. I have a small one in topiary form in a pot in the sun room. They make such a show when in mass out in one's landscape. Thanks, Sarah! My first visit to Atlanta was in the spring and I was captivated by all the azaleas. I've been growing them ever since. Thank you! I'm glad you could visit them! Thanks so much for joining the garden party! Thanks, Stacey! I wonder if the Solomon's Seal will like Texas. 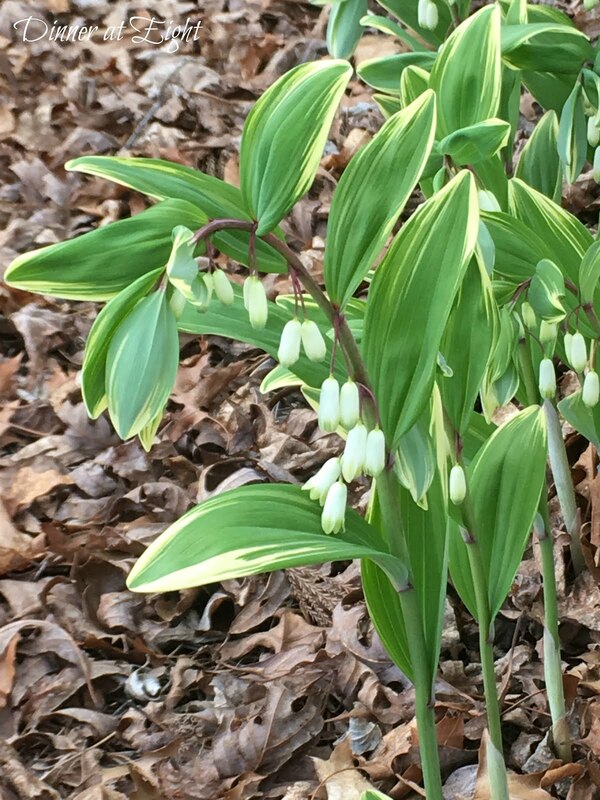 They grow best in the high shade of trees, reach about 12 inches, and spread nicely each year. Their leaves last thru Halloween. That view from the bench is heavenly! Love Azaleas and Rhodies. Neither do well here. My Solomon Seal is just starting to bloom. I was given starts from a friend and I love them! Thanks for sharing your gorgeous garden with the Garden Party! Thanks, Jann! I started with a small batch and now I find the Solomon Seals are conquering the shade. Loved seeing all the gardens at the party! 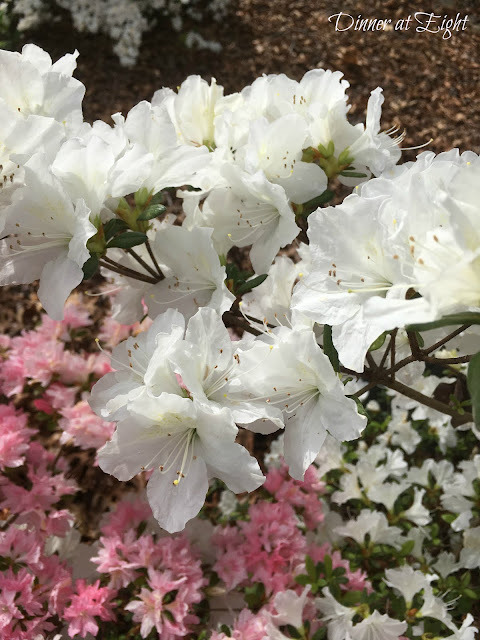 I love your pretty azaleas. This is such a pretty post! The white ones are my favorite. Thanks, Ricki! The white ones really shine on the dreary days. My husband's grandmother always grew this variety so these are his picks! Just gorgeous. 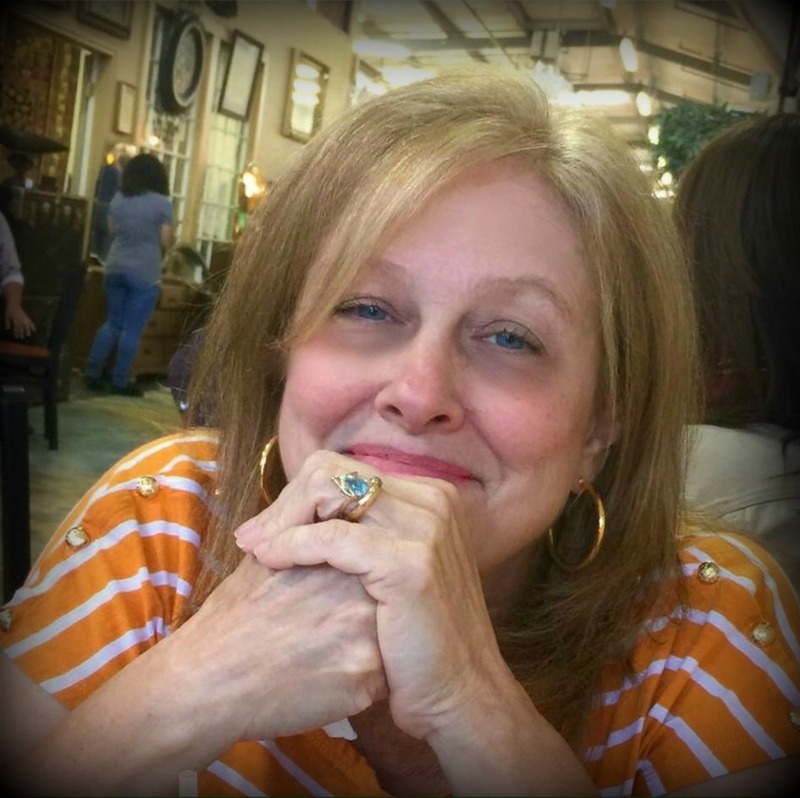 Thanks for sharing at Keep In Touch. So inspiring. Spring is a thrill. I'm glad you liked the photos. Spring is my favorite time in the garden! What a lovely spring garden! Azaleas do not do well up here but my rhodies make up for it! Looking forward to seeing some color around my home at long last! Thanks, Debbie! 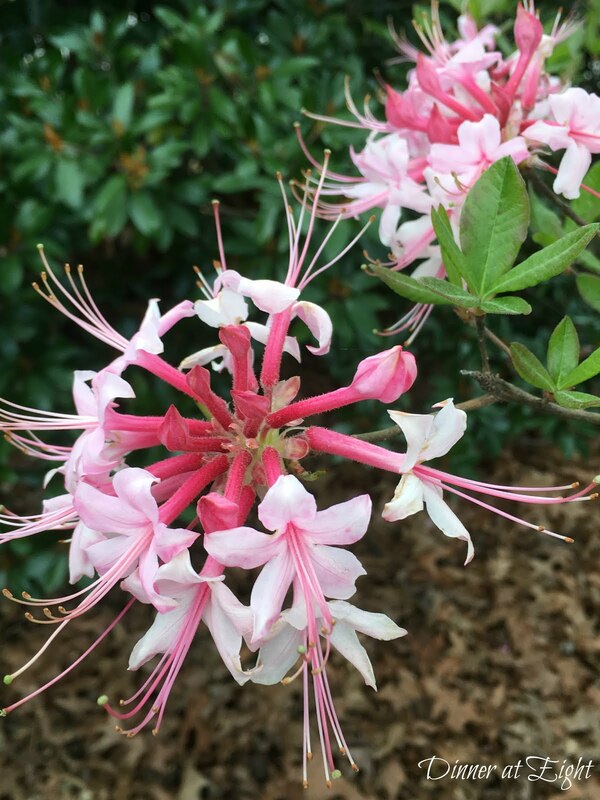 I love seeing all the wild rhododendrons when we head to the N GA mountains - just spectacular. Hope your garden blooms soon! Thank you, Stacey. I have to give most of the credit to Mother Nature! Thanks, Cecilia! I'm so glad you folks put together such a fun party. What an absolutely gorgeous garden. I think I will try adding a few azaleas to mine. 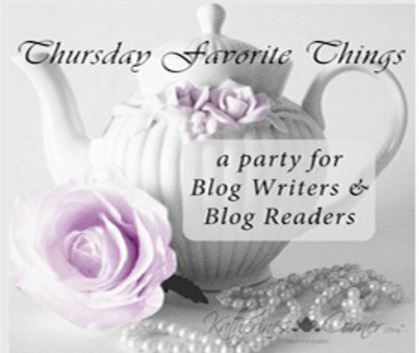 Thank you for sharing at the Tea and Roses Linky party. Have a safe and happy Memorial Day! Thanks! 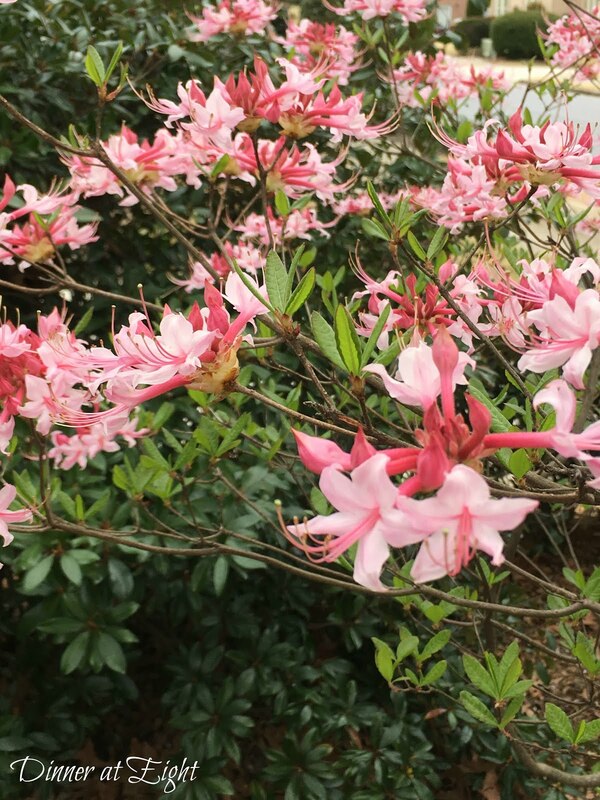 Azaleas come in so many beautiful colors, and some even re-bloom. Definitely great for gardens. The garden was in top form this spring! Thanks, Angelina, for hosting a party with so much inspiration. Gorgeous blooms! 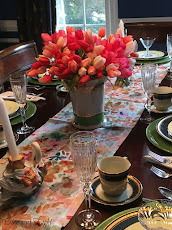 Thank you so much for sharing at the Spring Tea Party Link up! Thanks, Amber! This was a fun party to link to. Sandra, I enjoyed every photo again! 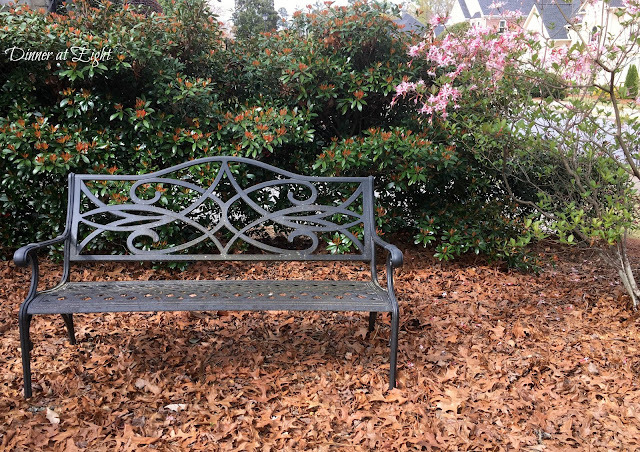 The azaleas, dogwoods, and rhododendrons are gone too quickly! 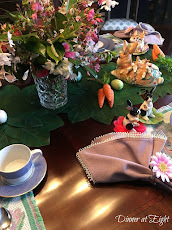 Happy Gardening and thanks so much for joining Gardens Galore! It seems like I blinked twice and spring was gone! It's nice to remember cool days in the garden. 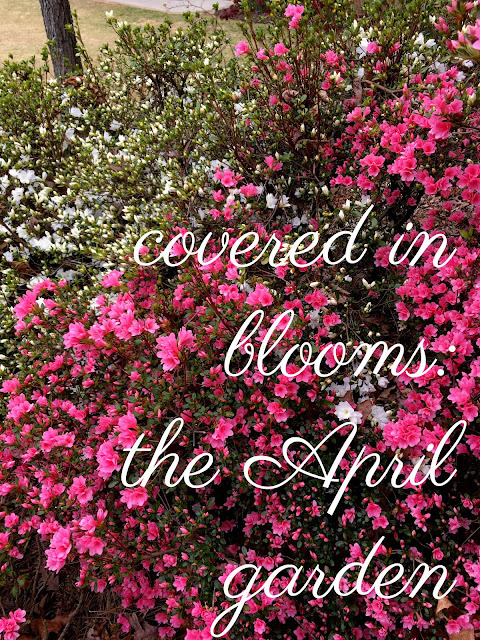 Your April garden is lovely. 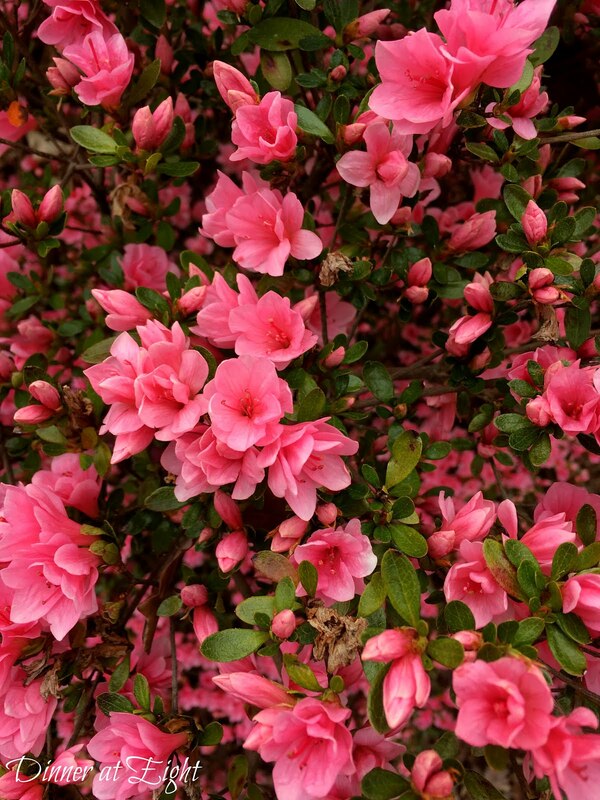 Wow I sure wish I could grow azaleas here but they struggled too much so I gave up on them. Isn't Solomon's Seal the cutest plant! The dogwood is beautiful. We're just at the point of things like that blooming up here. Wow! You must be in the UP. 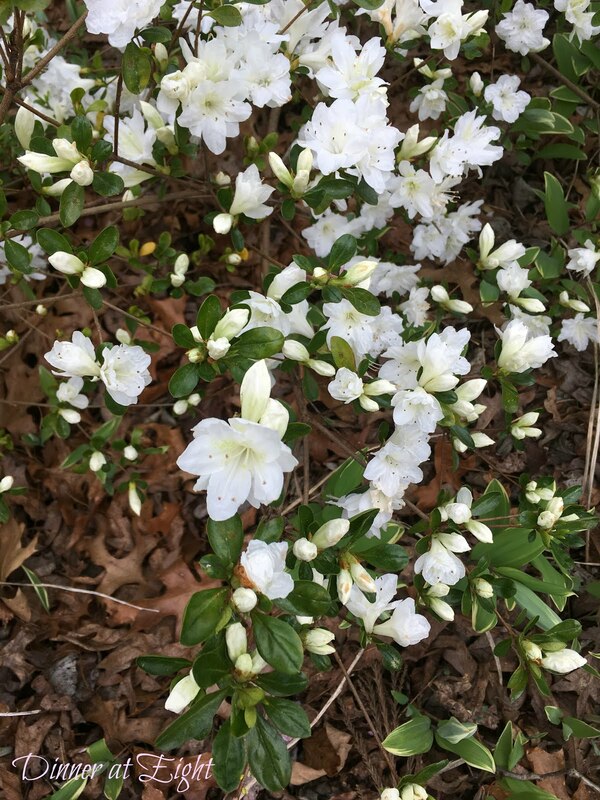 My family in Ohio had theirs blooming in May I think. Azaleas seem to define the South - their colors explode everywhere, and some re-bloom in the fall. But I had to give up lilacs and the perennials that struggle in heat. I'm coming over from Poofing the Pillows and have enjoyed my stroll through your spring gardens. I have a woodland garden similar to yours. 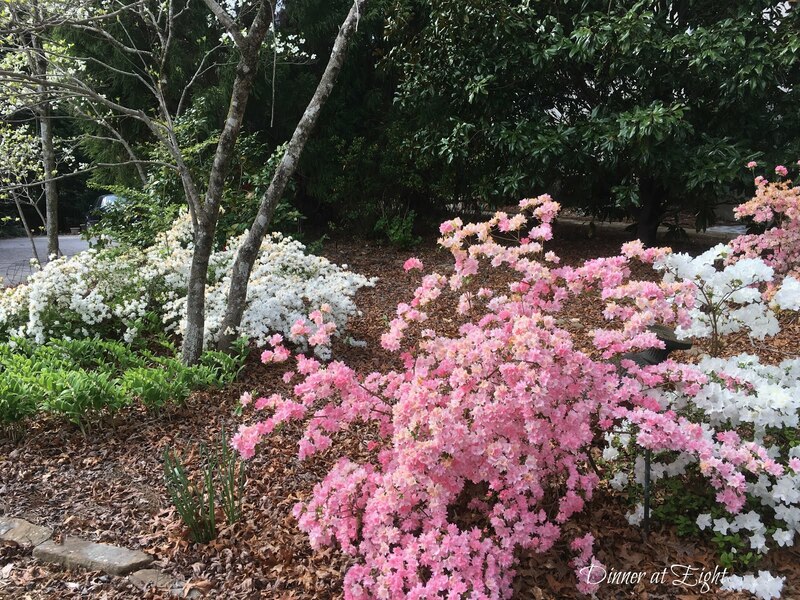 Our azaleas did well this year and many attribute it to sustained days of cold in the winter. I am in south Alabama. 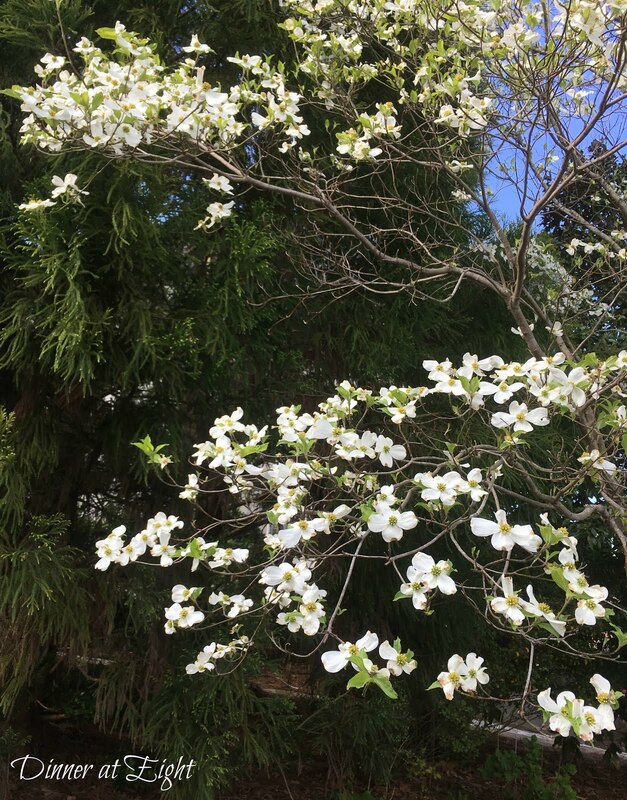 I lost all my dogwoods to anthracnose which has affected our entire area. The forestry department confirmed it is everywhere. For many years I sprayed them but they continued to have die back and I finally had to cut all of mine down. It was sad and I have missed the beautiful blooms. Thanks again for the garden tour. Thanks for visiting, Bonnie! I hadn't intended to have a woodland garden, but after 20 years of additional growth, the trees (and their shade) sort of decided my path for me! Late winter and spring brought N Georgia far more rain than normal, but all the spring bloomers seemed to have thrived with it. 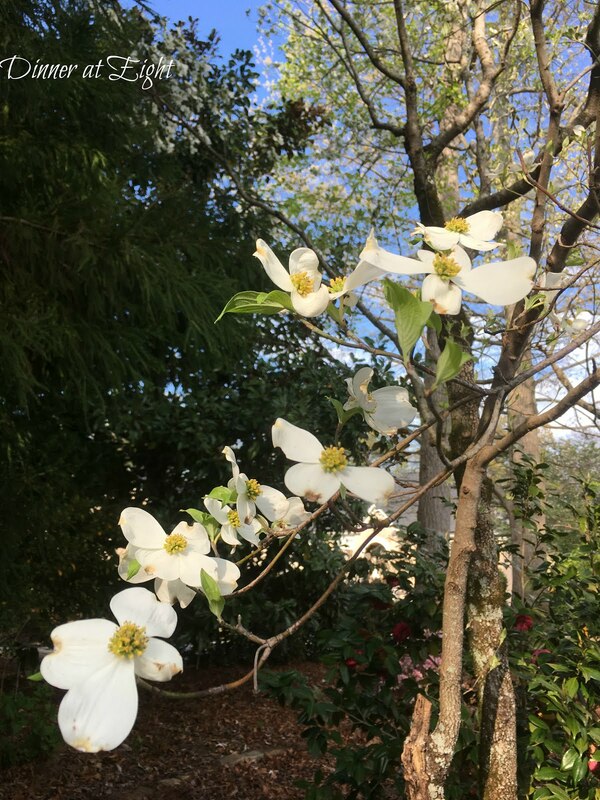 I'm sorry to hear about your dogwoods - I love to see mine bloom. Several years ago, though, we lost one that the arborist believed to be about 75 years old. It was the largest, fullest one I had ever seen. How Do You Pick a Favorite?